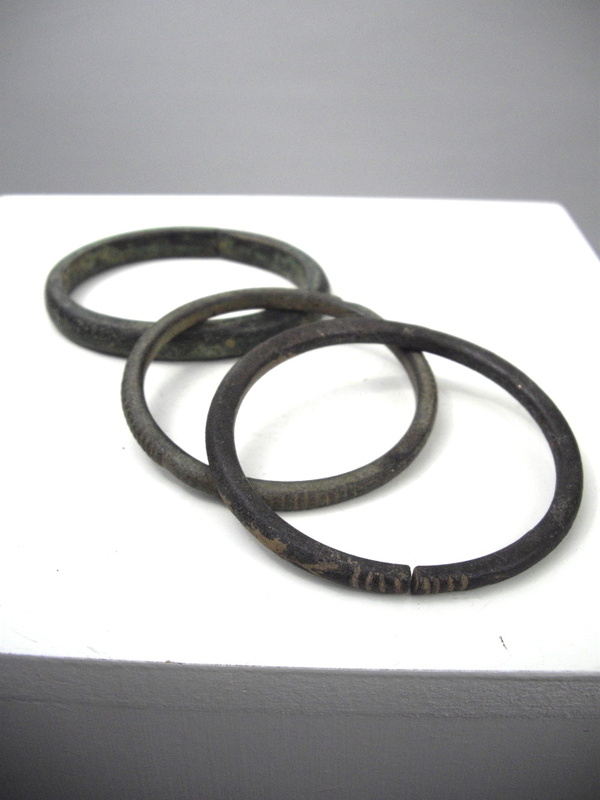 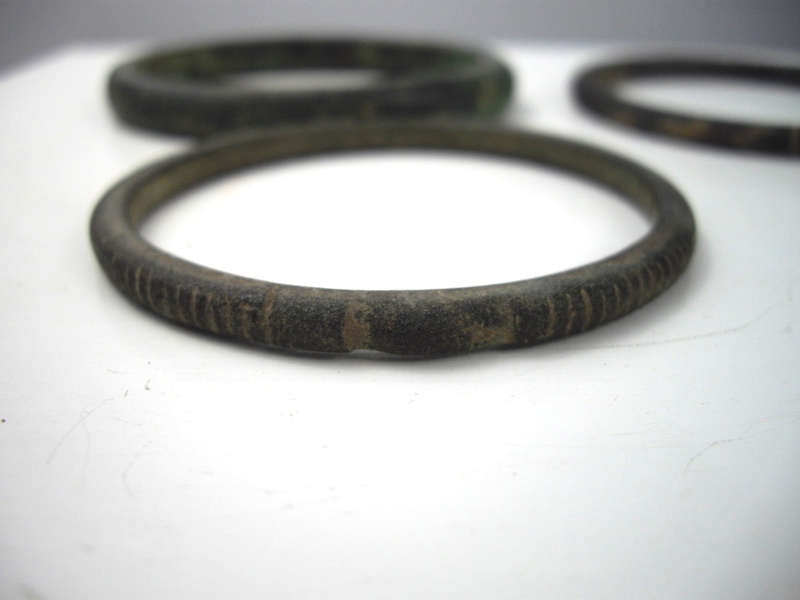 Group of three metal Dogon bangles/bracelets from Mali. 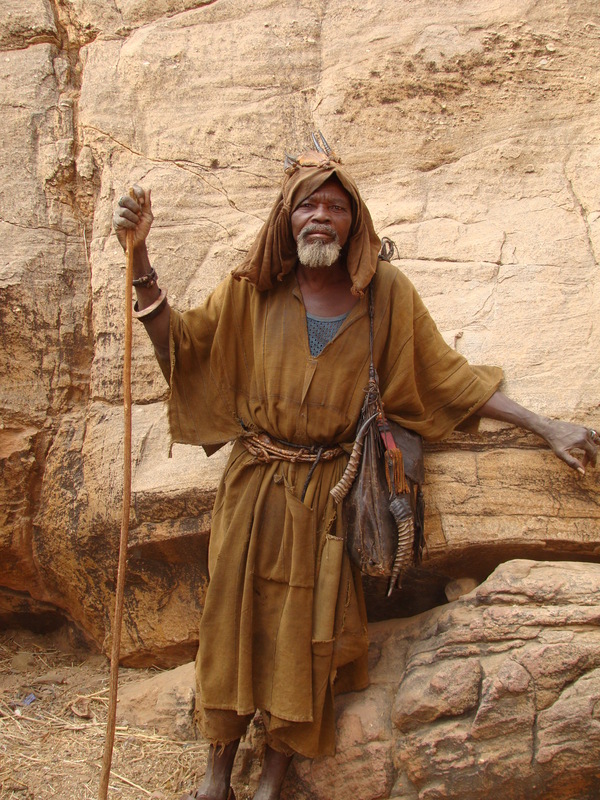 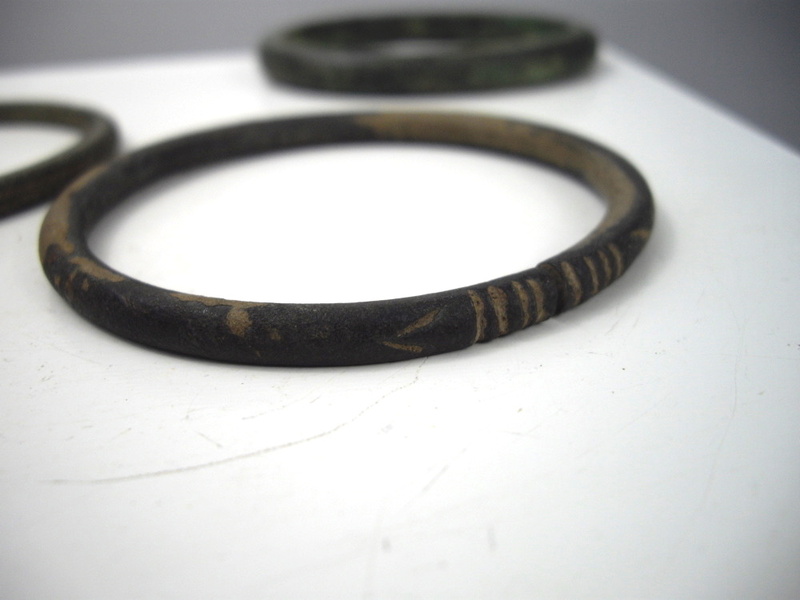 Dogon bangles/bracelets compleat this group of three bangles/bracelets are from the Dogon people of Mali. 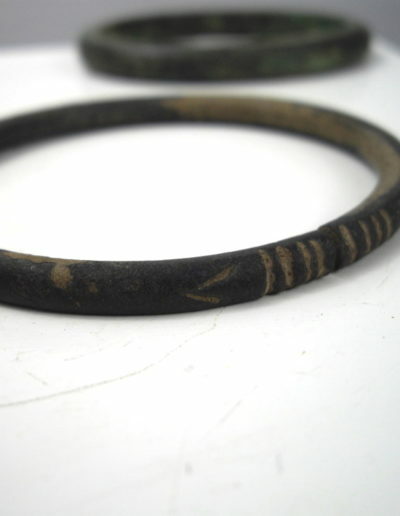 Although similar in shape and size each one has its own individuality. 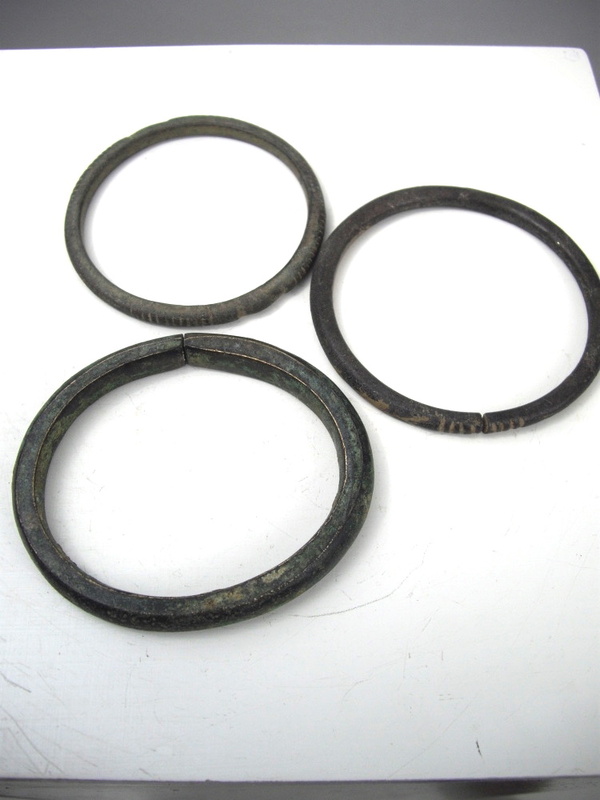 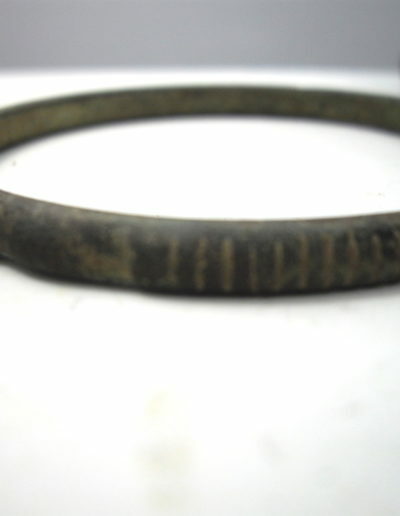 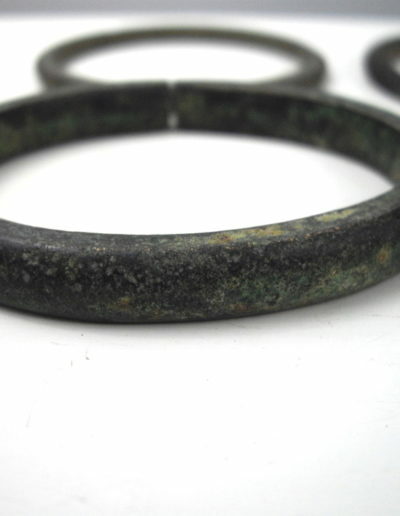 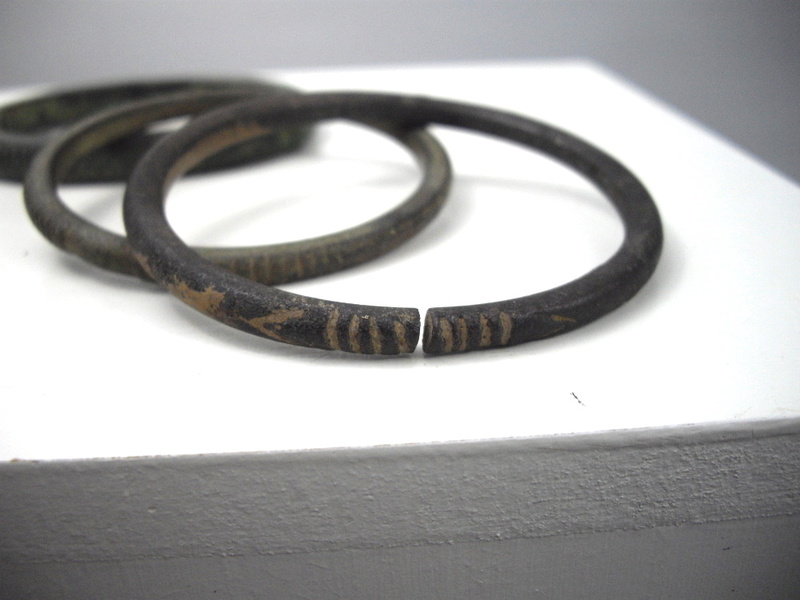 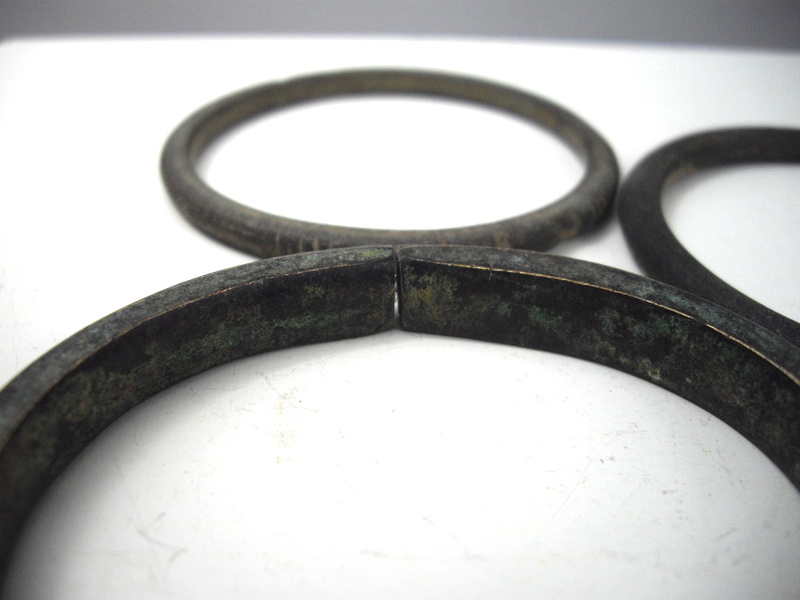 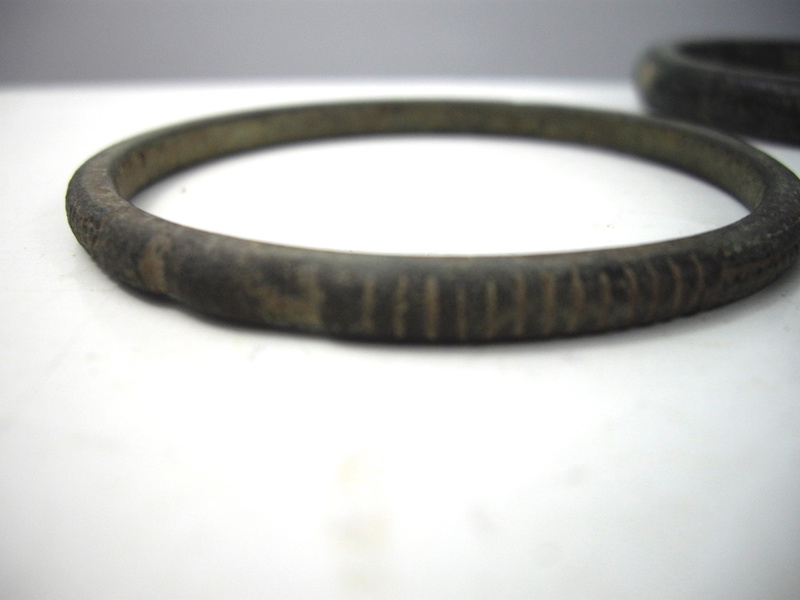 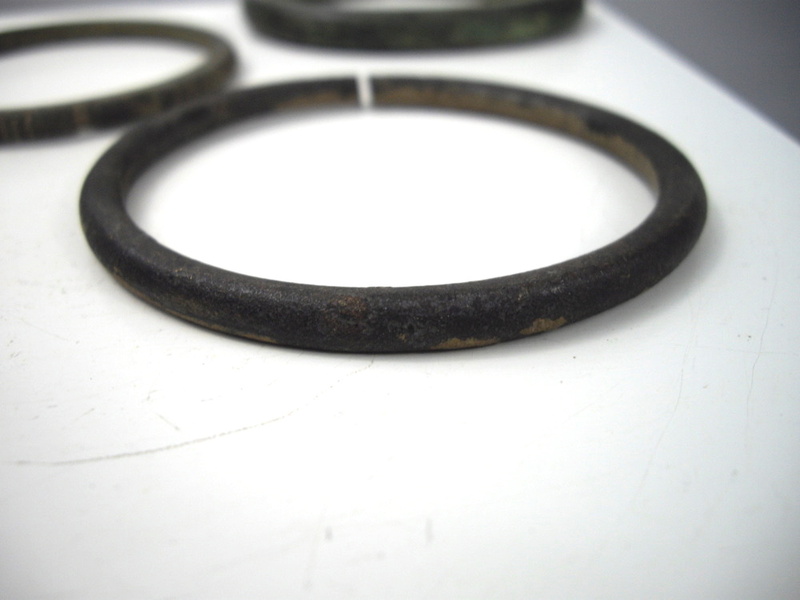 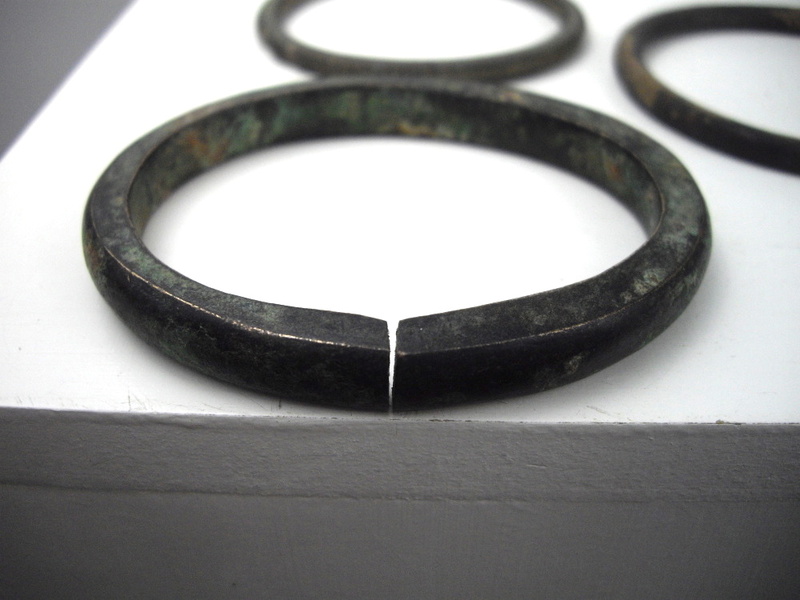 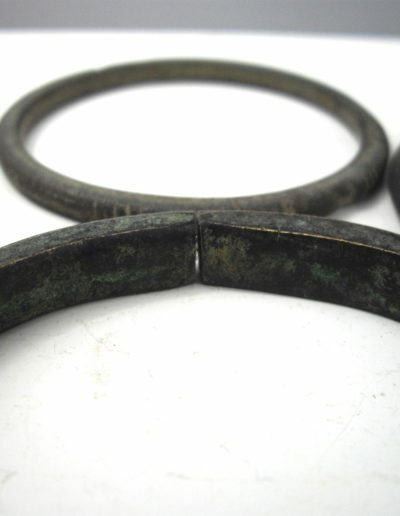 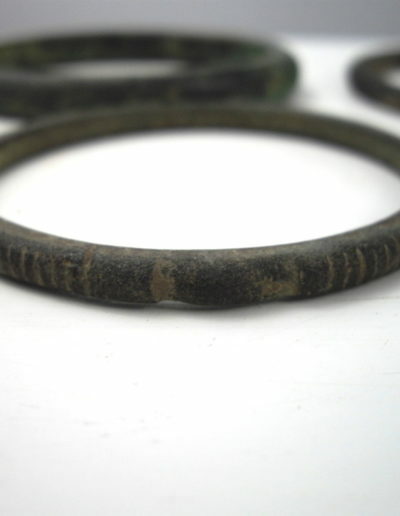 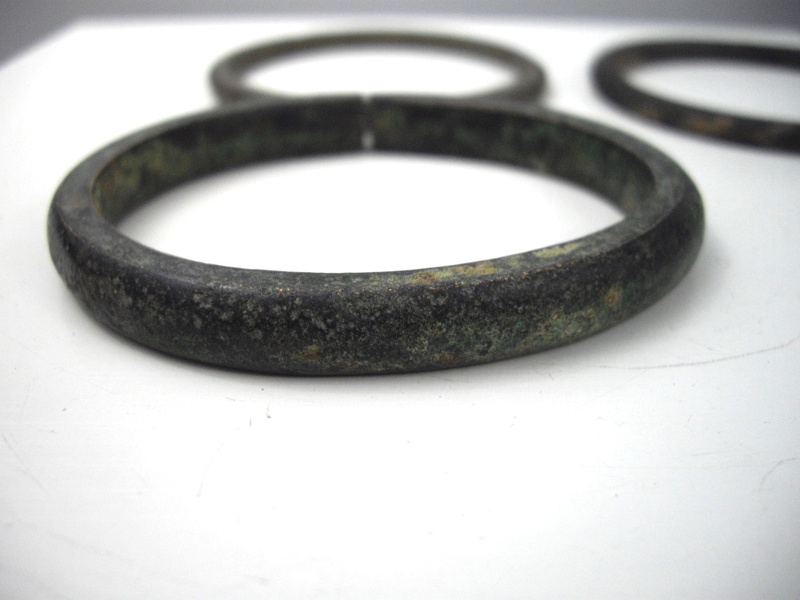 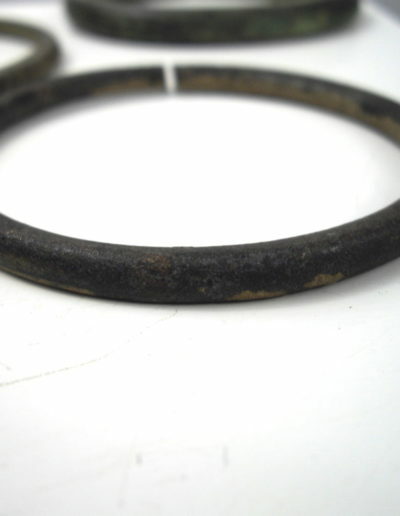 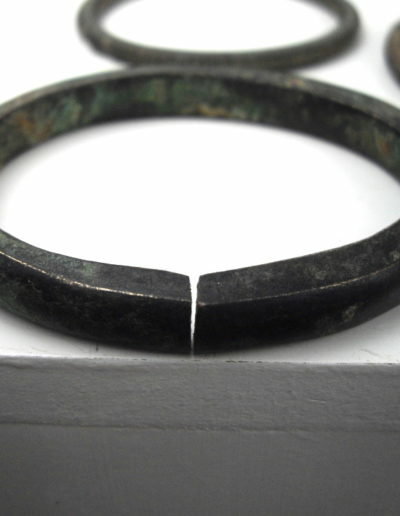 The heaviest and most chunky being made of bronze which has no pattern or design evident, the second is a solid ring with an incised pattern throughout the bangle but has been worn off in places and the last bangle is a broken ring but it also has some patterning close to the opening. 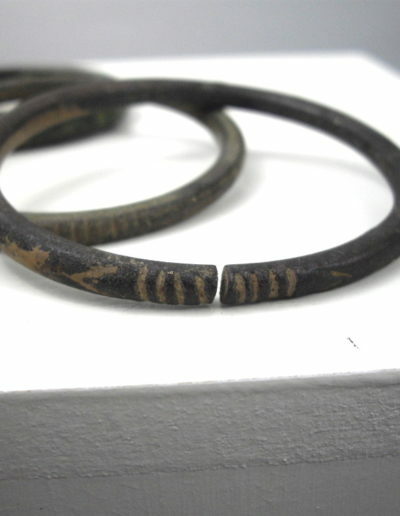 All these bangles/bracelets show signs of age and age-related wear and tear.